Businesses with huge and complex digital footprints and lots of websites and applications to manage can greatly benefit from AppDynamics. AppDynamics is a website monitoring service dedicated to business of all scales and industries. AppDynamics is considered a leader in the monitoring and application performance monitoring (APM) landscape. Business who use AppDyanmics can expect analytics, dashboards, reporting, and alerts for IT professionals and business users. Some of the features you can expect from AppDynamics are code-level visibility, trend database performance, and continuous monitoring even in the most high-volume environment. Users can expect visibility and complete control. It can be easily integrated with a variety of systems and apps. Best of all, you can choose either a free version or a quoted version for more advanced features, depending on your current needs. 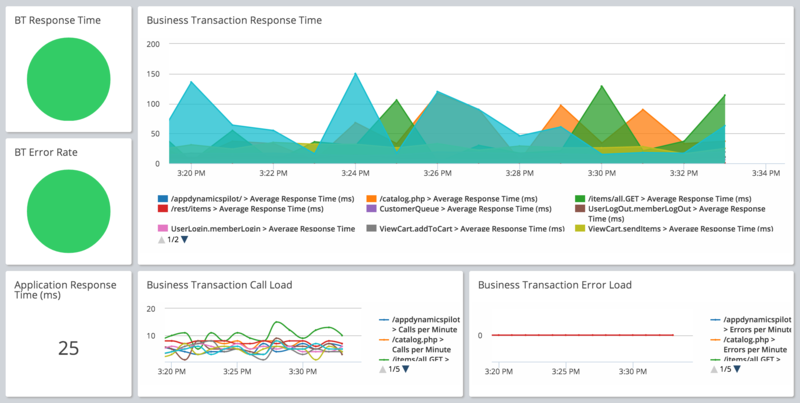 AppDynamics gives real-time insights into performance, user experience, objectives, and business outcomes. Moreover, businesses will surely appreciate AppDynamics’ innovative Unified Monitoring approach. AppDyanmics combines six monitoring applications into a single robust solution, enabling complete visibility and providing multi-channel user experience management. It also comes with a support system, assessment, and customized alerting function. All of these make it easy to determine the precise origin of any performance issue. Unified Monitoring also makes faster and more accurate previews possible. The platform’s end-to-end view of real-time application performance helps businesses to quickly spot customer impacting issues. In turn, this allows companies to act quickly and standardize troubleshooting. It also fosters collaboration between Dev and Ops so they isolate, resolve and automate the resolution of application issues, even while in production. AppDynamics unified analytics functionality also makes sure that businesses get tons of useful information. Business will be able to make smarter business decisions as they are provided with reliable data and insights on application performance, as well as user data and business outcomes. User experience can also be better optimized, and developers can further enhance engagement and conversion across the entire user journey, whether on a browser or a native mobile application.